We support many oyster farms on the Northeast with seed. We sell seed oysters ranging in size from 1mm-50mm from March through August. For all seed inquiries please send an email to steve@fishersislandoysters.com. Order Delivery & Pick Up: Seed that is less than 15 mm can be shipped directly to you via UPS. 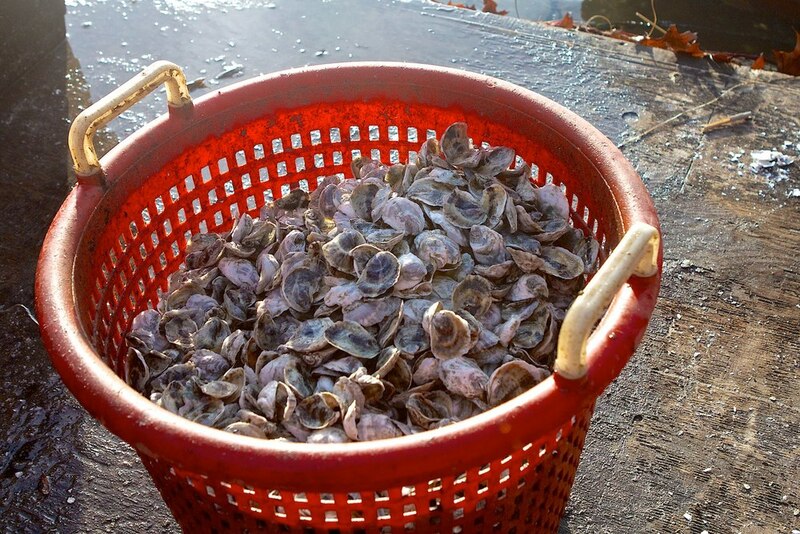 Any seed that is larger must be picked up in New London, CT.
Our oyster seed is designed to be fast growing, disease resistant, beautifully shaped and colored. To learn more about our process, visit the Hatchery and Nursery.